a) man's improvement through the ages of history. 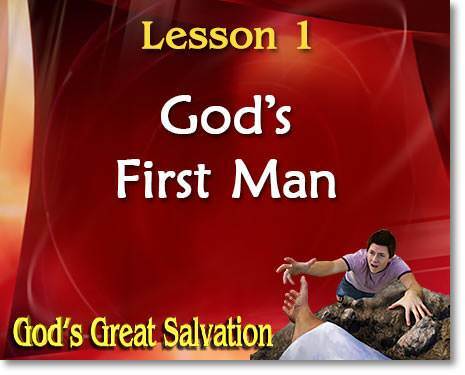 b) man's complete ruin in sin and God's great salvation in Christ. a) by the disobedience of the first man, Adam. b) for no apparent reason. a) rebellion against God and His will. b) just not being good as we should be. a) in the image of God. b) in Adam's likeness, after his image. a) people were still sinful in their hearts. a) things will be much better. b) things will be as they were in the days of Noah. b) can be summed up in one word—SIN. a) to destroy man because he was a sinner. b) to bless man because of God's love. a) Adam and his family. b) God's promised Savior, Jesus Christ.